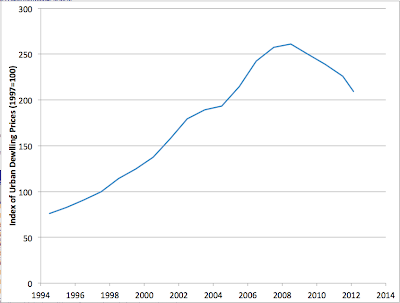 I found the above data for the Greek house prices at the Bank of Greece. 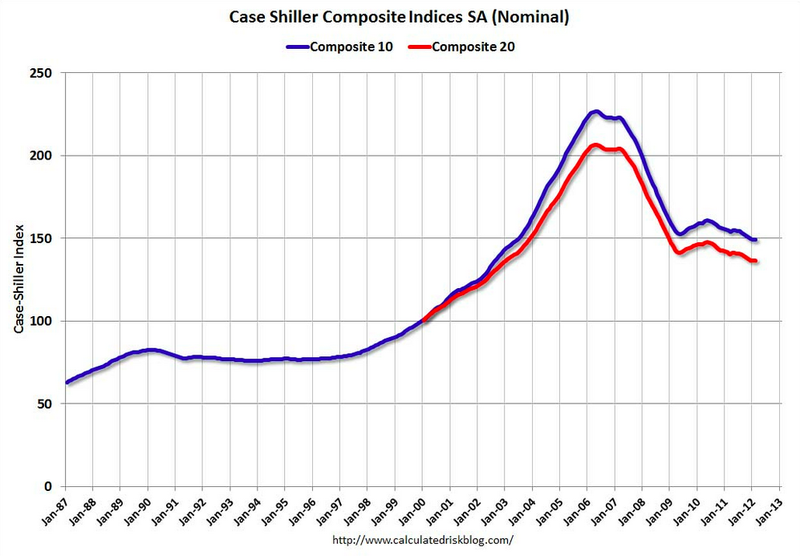 It's an index for all urban areas with 1997 set to 100. I don't believe it's inflation adjusted. The data are annual through 2011 but I also put in the estimate for Q1 2012. 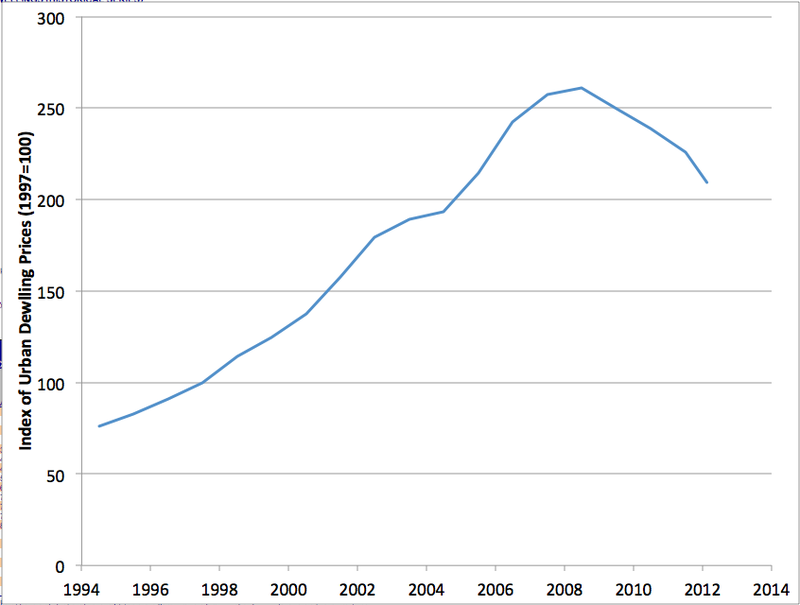 Greek house prices tripled in only 15 years. 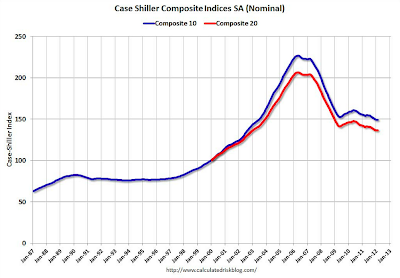 They have so far fallen about 20% (nominal) from the peak - closer to 30% in real terms. The decline accelerated in 2012. Given that the country shows no sign of political and economic stabilization, it's likely they'll fall quite a bit more. (graph from CR). And indeed some parts of the country (Florida) lost a lot more. The big difference is that US house prices seem to be close to stabilization, whereas Greek house prices still seem to have a lot more downside risk. It's helpful for a country to have its own currency.